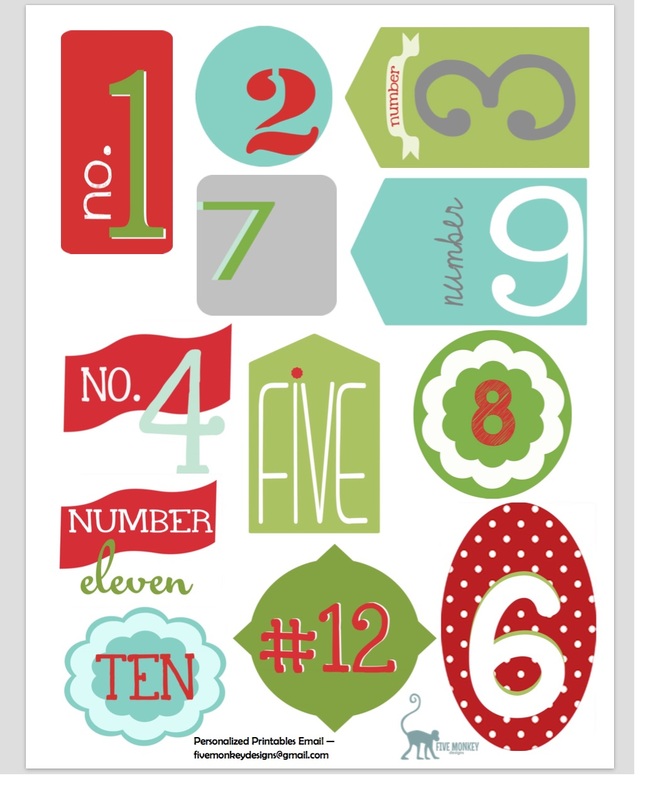 I wanted to share these darling 12 Day tags that my sister designed for our neighborhood. 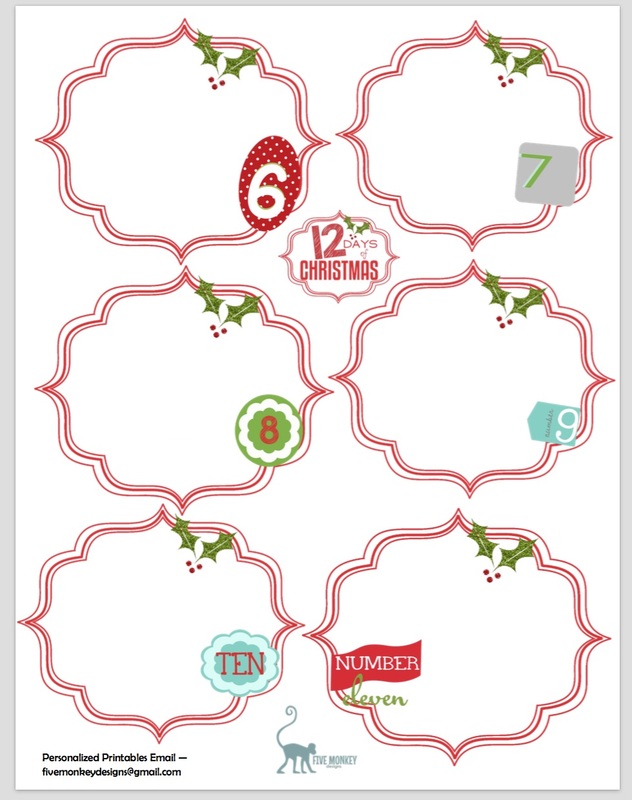 I think they are super cute 😉 My sister designs personal printables (she is AMAZING and SUPER affordable btw) and she created these cute 12 Days of Christmas tags for us. 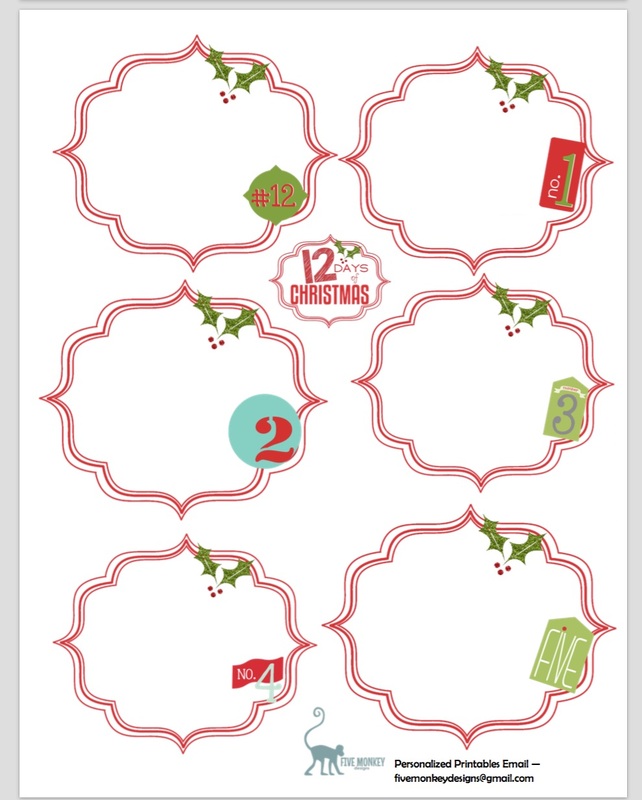 These are so cute for any 12 Days of Christmas projects you have going on. Need some last minute, personalized images, Christmas cards, designs, announcements, invitations, etc? Send Diana an email and see how she can help make your life easier (& cuter!) fivemonkeydesigns@gmail.com. Now…for some exciting news! Coming Monday December 7th is going to be THE BIGGEST GIVEAWAYS we have EVER done on our blog before! We are going to be giving away TWELVE Days of giveaways for all of you amazing followers. We want to show you our appreciation, so check back every day to find out more details and visit Monday morning to find out what our first BIG giveaway item will be!!! I can hardly wait!! I can't wait! I love giveaways!!!! My first visit to your amazing blog really loved ! by the way here i have found a website that provide beautiful kitchen decor sets and all types of kitchen tools and gadgets as well. I would like to request all moms to visit this website and buy kitchen products ! Best Thanksgiving Meal Planner & Grocery List–Save $100’s!